The sun never sets on soccer! This innovative goal and ball light up so kids can play well past sundown and still see the action on the field. Ground stakes included. 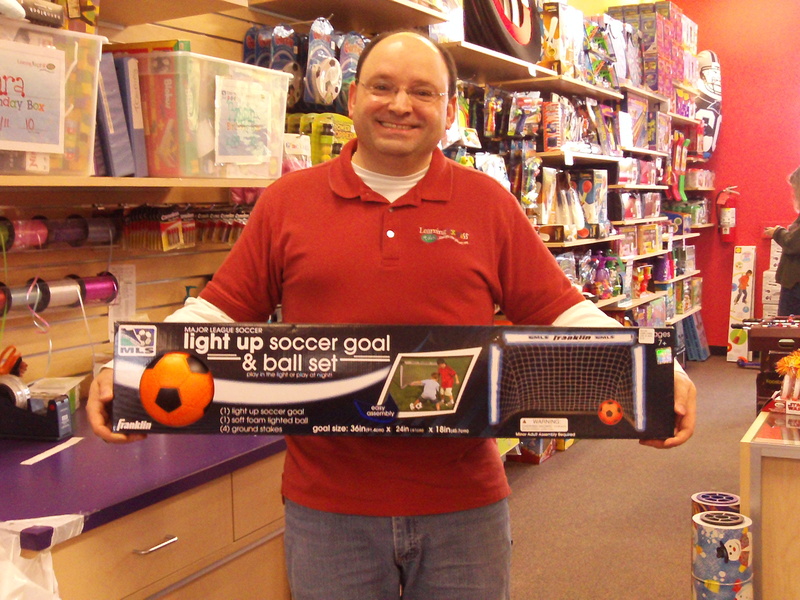 Ted, manager of the Durham store, has two sons who are avid soccer players. He loves this item. Handsome guy, don’t you think? Especially the way the light glints off of his forehead.